Win Free Karting – If You Are Faster Than a Supercars Star! Home News and Updates Win Free Karting – If You Are Faster Than a Supercars Star! Are you faster than a Supercars star? It turns out nobody was faster than Bathurst 1000 winner Chaz Mostert around Slideways Go Karting Brisbane in the month of February, as he took home the prize in our Fastest Times of the Month competition. Showing that his Slideways form is no fluke, Chaz earned his first career podium at the Supercars season opening Clipsal 500 over the weekend. Slideways Go Karting Brisbane at Eagle Farm is currently undergoing some massive renovations, which will be opening very shortly in stages. Stage one includes a massive bridge structure at the northern end of the building, and a new loop into the car park. The old bridge down ramp that was a customer favourite, will remain in place. Stay tuned to social media for the latest updates on construction progress. On the Slideways Go Karting World side, our racing season is underway, with regular front runner Jayden Jones setting the best time of the month for our outdoor track at Pimpama. The next race is scheduled for this Sunday – our second three-driver Enduro event of the season. There are more ways to win at Slideways, with prizes given out monthly not only for the fastest lap time at all venues, but also with our Check In & Win competition. All of the winners below have had four free races (valued at $100) credited to their Slideways account. More details on how you can win with Slideways can be found at this link. 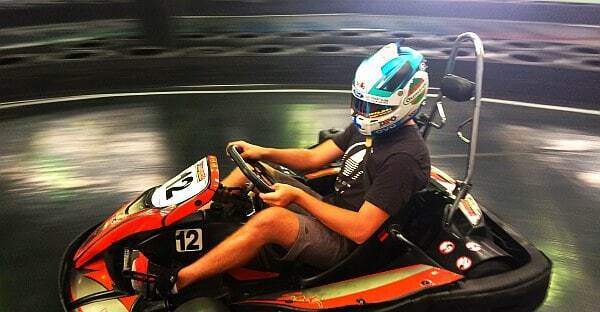 Slideways Go Karting Gold Coast Nerang The only three storey indoor drift kart track in the southern hemisphere! Slideways Go Karting Brisbane Brisbane's only indoor drift kart circuit, next to the Gateway Bridge! Slideways - Go Karting World is at Slideways - Go Karting World. Racing day + night, outdoors at Slideways - Go Karting World Pimpama.